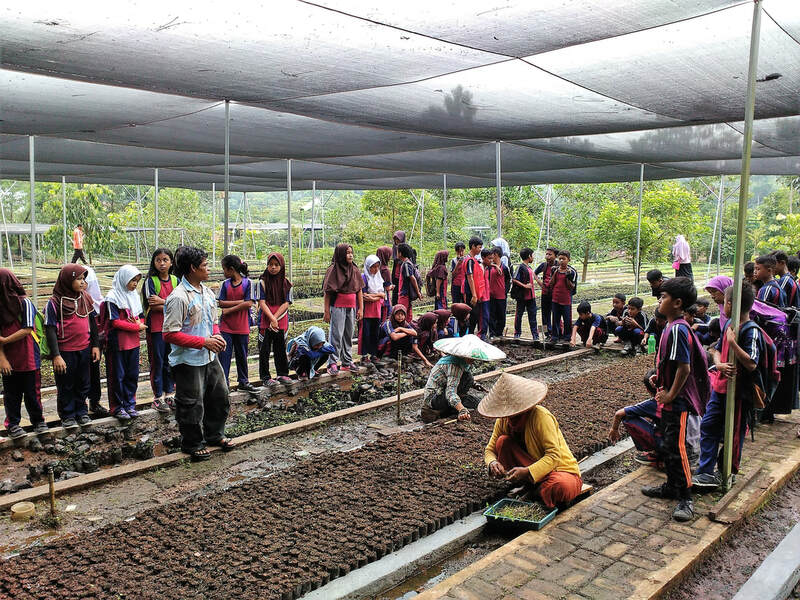 Sandwatch in Indonesia has been coordinated by the UNESCO Jakarta Office. 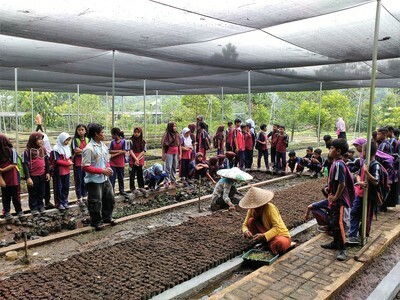 Other groups have also been involved including the Indonesia Green Action Forum. 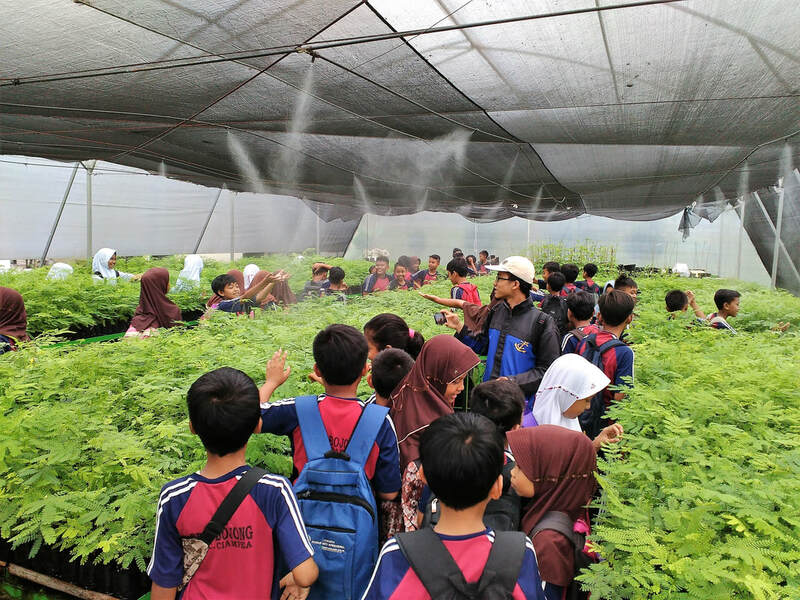 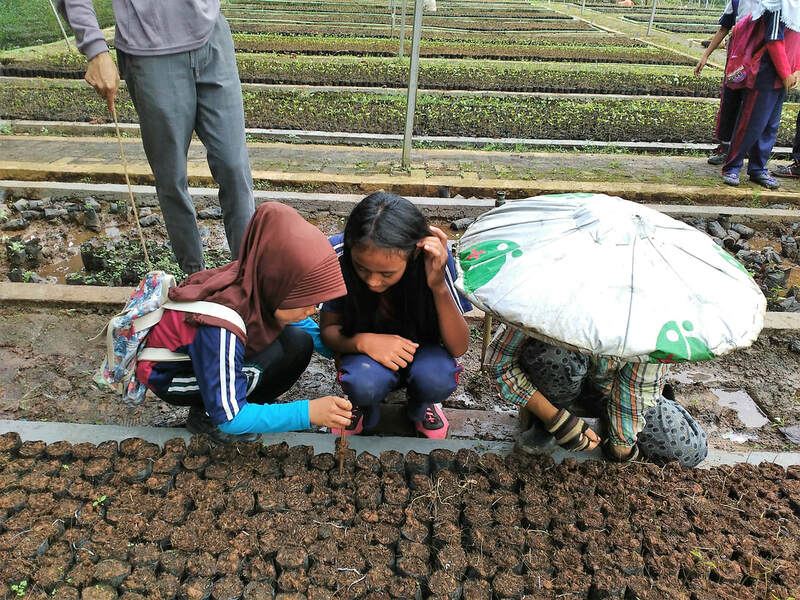 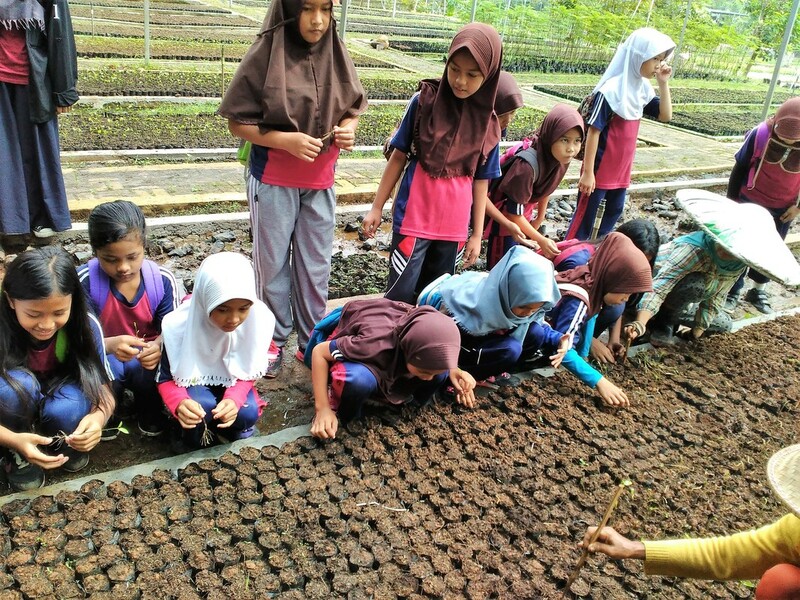 In April 2017, SD N Bojong with a total of about 65 Sandwatch students visited the Department of Seedling Plantation and Nursery under the auspices of the Ministry of Environment and Forestry, Republic of Indonesia. 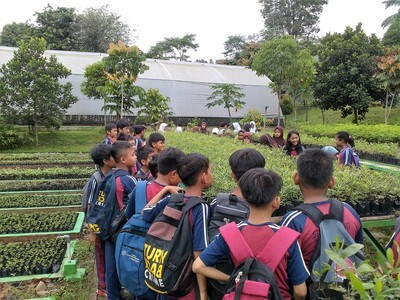 The Department was located near Bogor Agricultural University surrounded with forest and agricultural lands as well as beautiful views of Dramaga village. 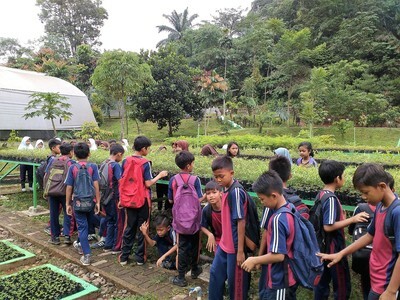 The aims of the visit were to demonstrate to students how to nurture forest and tropical tree species for altruistics, to interlink the importance of forests in mitigating climate change to the International Green Action Forum (IGAF) members and scientists, and to raise environmental awareness of students to actively conserve tropical trees species and agroforestry ecosystems. In the Department, there were several sections which were tremendously beneficial to deepen the understanding and knowledge of the students. These sections were: the Department of Seedling Plantation and Nursery, Seedling Management, Practical Action of Seedlings Plantation, Tree Species Introduction, and Seedling Distribution. 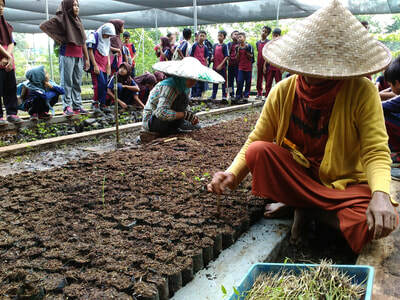 Indonesian Green Action Forum. 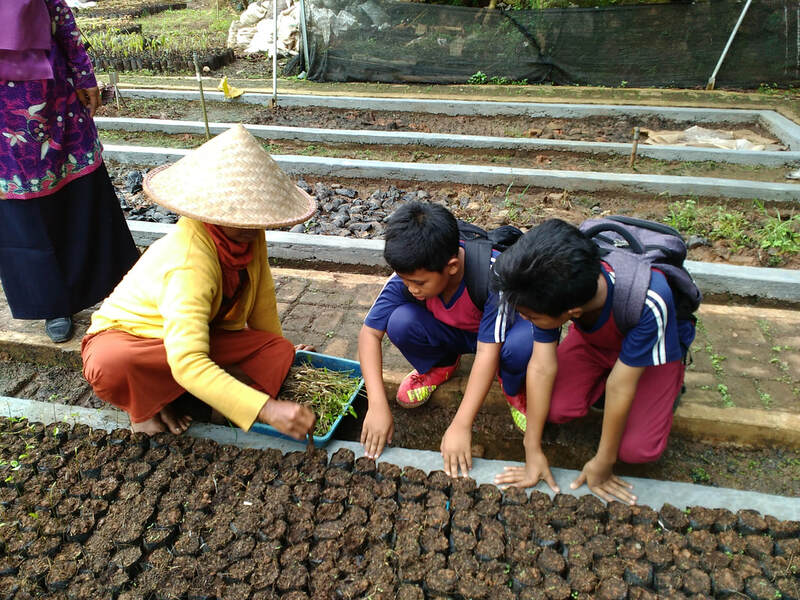 ​Indonesia, a very biodiverse country with three large rainforests, is named as the world’s fifth largest emitter of greenhouse gases. 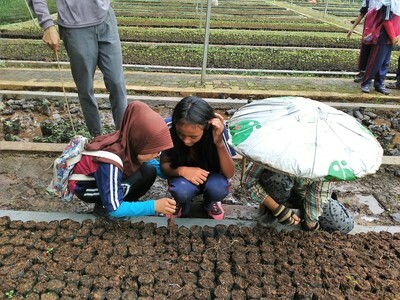 This reputation propelled the Indonesian government to internationally pledge to reduce 29% of its greenhouse gas emissions by 2030. 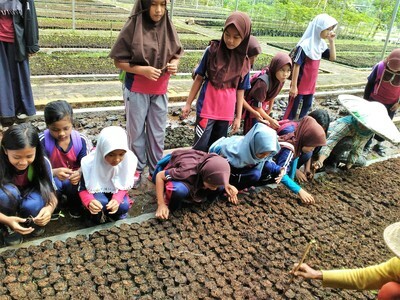 To contribute to implementing this pledge, Indonesian youth have pledged to assist with some climate change initiatives. - please click here to learn more!